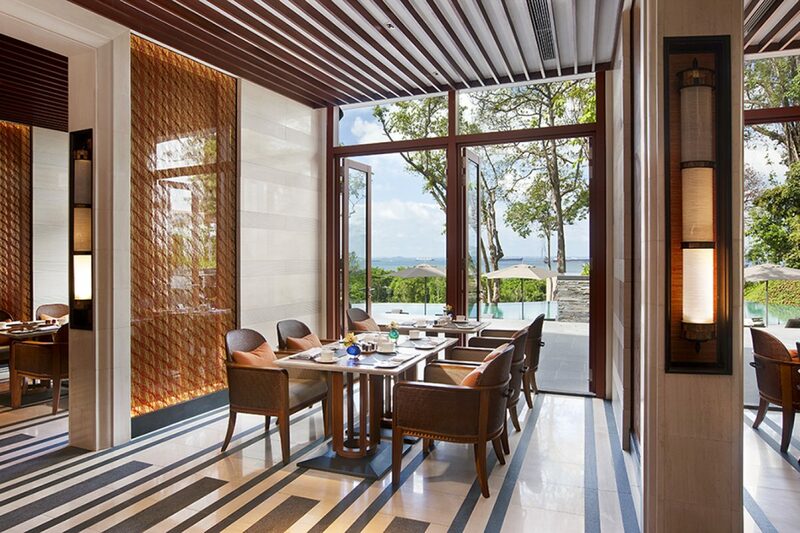 Capella Singapore offers an inspiring natural setting with easy access to the financial and shopping districts. 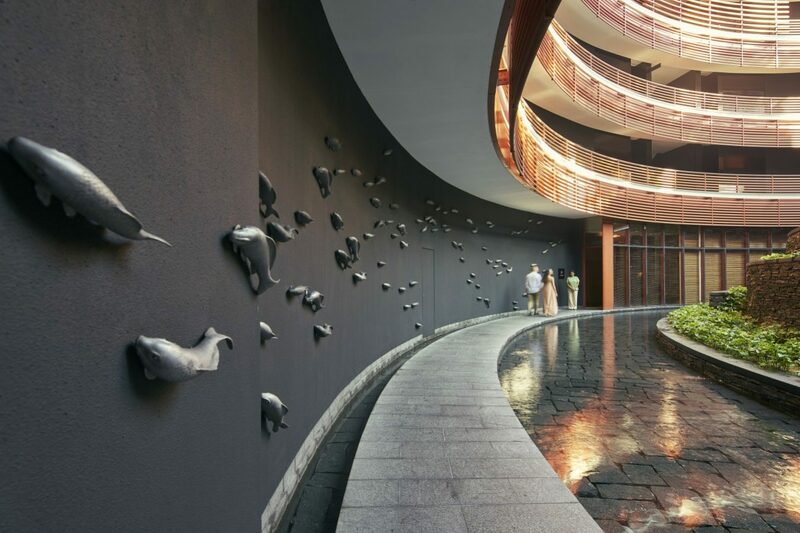 The 30-acre resort’s peaceful setting is a rare masterpiece, marrying Singapore’s rich colonial heritage with a symphony of contemporary architectural designs. 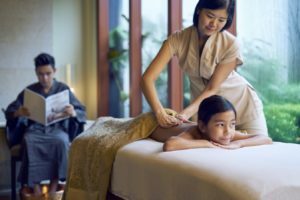 Offering some of the most spacious accommodation in Singapore, the hotel’s hallmark experience is the luxury of preferential service provided by Personal Assistants available round-the-clock. Guests can choose to dine at Cassia, a fine-dining Chinese restaurant; The Knolls, a Mediterranean restaurant; the Cuban-inspired Bob’s Bar, and the private designer kitchen, Chef’s Table. 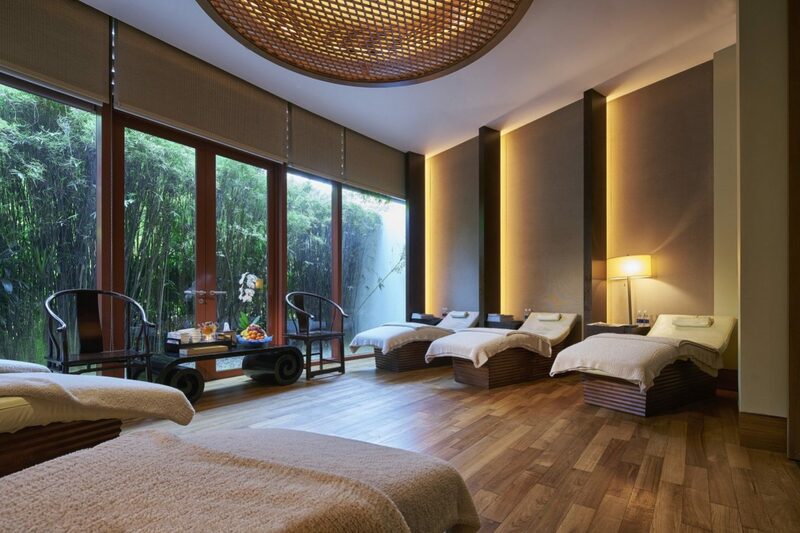 Capella Singapore is also home to the award-winning Auriga spa. Auriga spa is a haven for guests to rest and rejuvenate while tapping into the celestial rhythms. With a wellness philosophy based on the phases of the moon, Auriga’s signature treatments use natural organic products to reflect the varying energies of the lunar cycle. The first spa in Singapore to receive the Forbes Travel Guide Five-Star Spa status, Auriga has been awarded this prestigious status for seven consecutive years. 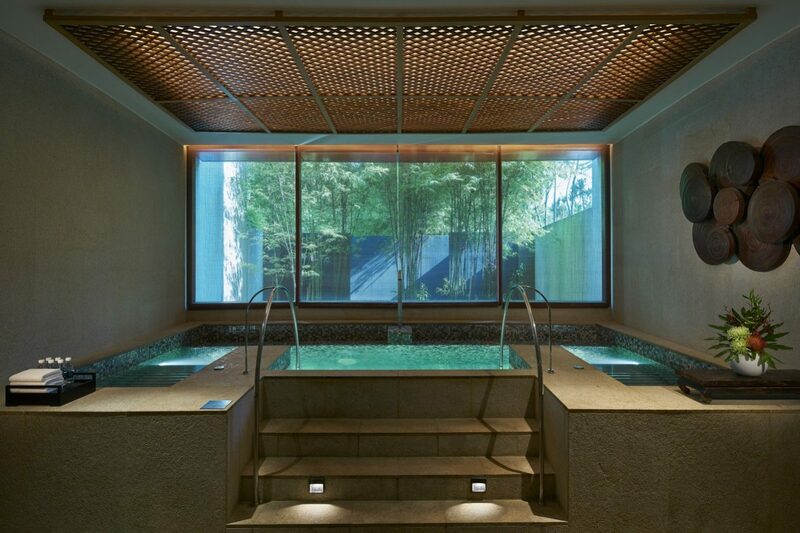 Spanning 12,000 square feet of contemporary Asian space, highlights include nine exclusive experience spa suites with private outdoor gardens, offering an ultimate pampering experience. The New Moon mirrors the winter – a season to rest, reflect and gain new strength. The Waxing Moon harbours the characteristics of spring – the best time to sow the seeds and nourish the earth. The Full Moon denotes the summer when everything is in bloom – it is the time of harvest. The Waning Moon reflects autumn – a time to cleanse the body and the earth, to give space for new life and to commence the cycle again. 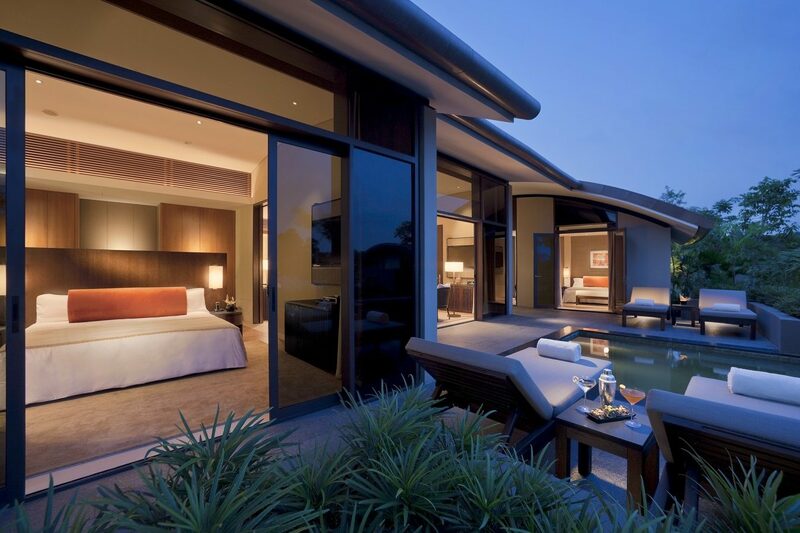 Capella Singapore offers some of the most spacious and luxurious hotel accommodations in Singapore. The 112 guest rooms include 57 Premier guestrooms, 15 suites, 38 villas featuring private outdoor showers and bathtubs and two heritage Colonial Manors. Driving up the winding approach to Capella Singapore on Sentosa Island is a little like stumbling upon a film set. The restored colonial mansion from the 1880’s is one of Singapore’s most iconic, an imposing white military building set above a blanket of green in front of the bluest blue sky. Add a wandering peacock, and for this far from home Brit it all inspires a huge wave of nostalgia for Merchant Ivory productions, and anything featuring Ralph Fiennes wearing a white linen suit looking broody. The line of sports cars out front snaps things right back into the 21st century however: this is Singapore after all, and if Ralph Fiennes really were here he’d be leaving the keys to his canary yellow Lamborghini with the valet before doing brunch. In the best type of juxtaposition Capella’s colonial frontage leads through to it’s architecturally exciting modern wing housing hotel rooms and spa, all steel casings and ergonomic lines. From here a series of three turquoise swimming pools flow down the hillside to the South China Sea. This part of the property feels a little bit retro Hollywood, with lush foliage, poolside umbrellas and bucketfuls of glamour. 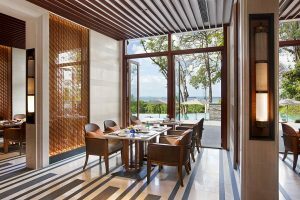 Add thirty acres of parkland, almost unheard of in Singapore, which create a feeling of being on your own private tropical island, and you can safely say that Capella covers all stylistic bases. And it’s only ten minutes from the CBD. The Auriga Spa is housed in the curved modern section of the hotel, like the cool younger sibling behind the grande dame of the original building. The design is progressive, but the spa blurb tells of treatments inspired by regional customs, indigenous herbs and healing practices. Juxtaposition is becoming my word of the day. I fill in my forms helped by an Instagram worthy breakfast tray of healthy nibbles and yogi tea, and do a few laps of the spa for some pre treatment relaxation: through the vitality pool, via a freshly shaved ice massage and ending in the scented tropical rain shower. By lap two i’m already fully subscribed to the Auriga experience, but to be honest this place had me at the breakfast tray. Or maybe even the peacock. 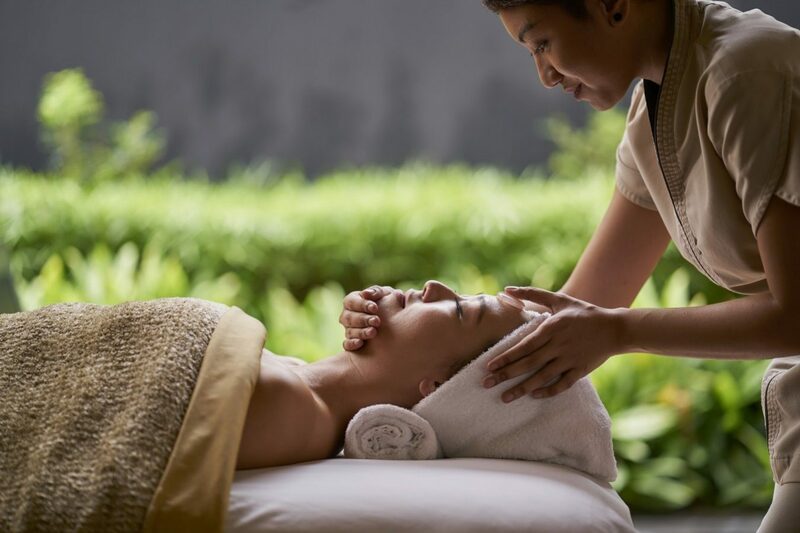 Award winning Auriga is widely considered as Singapore’s best spa; I’m clearly in safe hands. 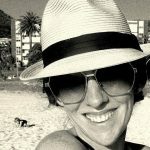 I’m being treated to the spas’s newest offering by wonderful therapist Lulu: a holistically inspired 90 minute ‘Kundalini’ massage, which essentially translates as ‘the body awakens’. It’s designed ‘for complete relaxation of mind and invigoration of the body, for today’s employees under immense stress at work.’ I don’t tell Lulu that this is my work. We start with mediative breathing and move through stimulation of the 7 energy chakras with synchronised massage, including heated moonstones and crystal therapy for the face. While i’m hard pressed to pinpoint exactly where my chakras are, to say it all feels incredible is an understatement. Plus with my recent yoga attendance lapse I feel like i’ve been awarded a shortcut to a higher plane, without any groin strain or OM-ing. Complete relaxation? I positively float out the door. Drifting through the hotel I miraculously end up at Cassia, Capella’s contemporary cantonese fine dining restaurant where I’m sampling the spa lunch. After my morning of Kundalini my appetite is feeling invigorated. Luckily so as I sample my way through six beautifully intricate and totally delicious taster courses using authentic cantonese recipes, washed down with chrysanthemum tea and a view over the gardens. In the soft hush of my velvet booth it all feels incredibly serene, and combined with my post holistic treatment glow, I experience a moment of enlightenment: It doesn’t get better than this. Ralph Fiennes and his yellow Lamborghini don’t even get a look in.